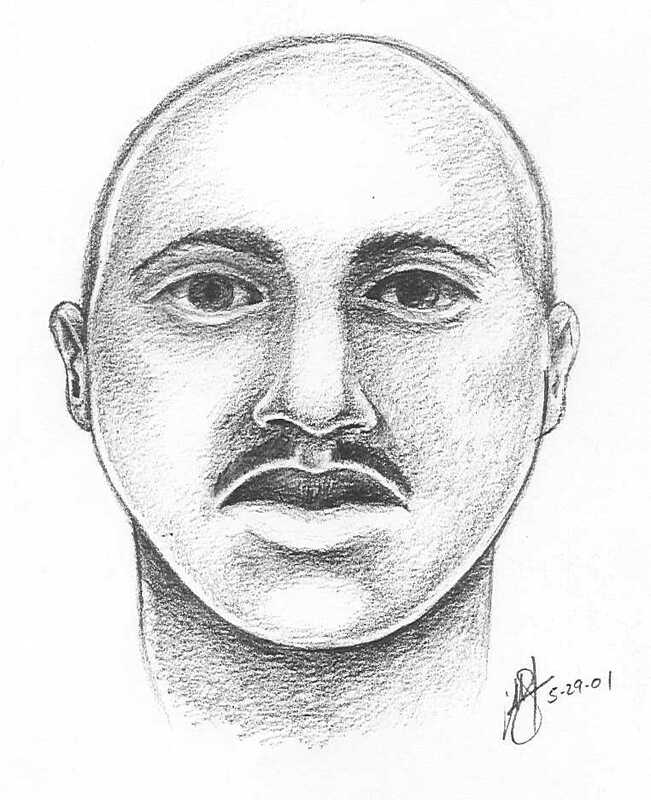 (June 1, 2001) -- LBPD has released a composite sketch (right) of a suspect in the May 16 sexual assault a 20 year old woman, attacked while attempting to locate a friend in the area of Anaheim St. and Obispo Ave. at about 2 a.m.
Police say the suspect attacked the woman from behind, punching, choking and dragging her behind a restaurant in the 3000 block of E. Anaheim St. The woman resisted, forcing the suspect to stop his attack and flee the scene. LBPD asks anyone with information about the crime to contact Detective Randy Castillo at (562) 570-7372.